Part Number(s): A202031,TN217, TN-217. Konica Minolta bizhub 223, Konica Minolta bizhub 283. For Use in the Following Compatible Machine Models. The model of Konica Minolta 7915 7920 copier/printer. Yield up to 10,000 pages. YELLOW 950-477. THIS SET OF 4 CONTAINS1 EACH OF. BLACK 950-476. KONICA MINOLTA TN-318K (A0DK133) Black Toner 8k. Konica Minolta. No exceptions. Make sure that it is filled in correctly. Box styles may vary from what is pictured. Bizhub 190f. Konica Minolta. Color: Black. Condition: Surplus - New, never used. It may have expired date codes, be missing the box, have shelf wear, tears, etc. 6901 Lynn Way. Pitney Bowes. Konica Minolta Multifunctional & All-in-One Machines bizhub C224 MFP, bizhub C224e MFP, bizhub C284 MFP, bizhub C284e MFP, bizhub C364 MFP, bizhub C364e MFP. Ink or Toner Color Black. Product Model TN217. Manufacturer Konica Minolta. Miscellaneous Compatibility Konica Minolta bizhub Copiers:223283. Manufacturers change colors and item details frequently and often do not update pictures. A202031, TN217. Part Number: A202031, TN217. bizhub 223 bizhub 283. KONICA MINOLTA BIZHUB 223 VERTICAL CONVEYANCE ASSY. Konica Minolta. Color: Black. Pittsburgh, Pennsylvania 15208. 6901 Lynn Way. Konica Minolta Multifunctional & All-in-One Machines bizhub 223, bizhub 282. Ink or Toner Color Black. Part Number: 8910404. Konica Minolta. Color: Black. It may have expired date codes, be missing the box, have shelf wear, tears, etc. Pittsburgh, Pennsylvania 15208. 6901 Lynn Way. Pitney Bowes. Part Number: 8908744. Konica Minolta. Color: Black. It may have expired date codes, be missing the box, have shelf wear, tears, etc. Pittsburgh, Pennsylvania 15208. 6901 Lynn Way. Pitney Bowes. 4145403, 1710471001. Part Number: 4145403, 1710471001. magicolor 2200 DeskLaser magicolor 2200 DP. 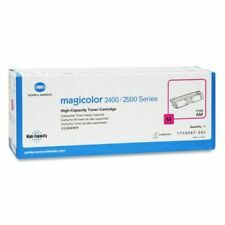 magicolor 2200 EN magicolor 2200 GN. magicolor 2200 N magicolor 2210. 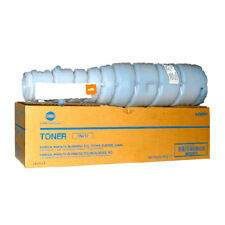 QMS MAGICOLOR 2200 WASTE TONER BOTTLE. Mfr Part # Konica Minolta A1U9130 TN616K TN-616K. Konica Minolta bizhub PRESS C7000P. Konica Minolta bizhub PRESS C6000. Konica Minolta bizhub PRESS C7000. 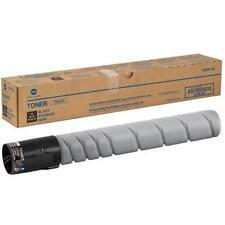 THIS TONER WILL NOT FIT BIZHUB PRESS 6000L. A0DK133, TN318K. Part Number: A0DK133, TN318K. bizhub C20 bizhub C20P. KONICA MINOLTA BIZHUB C20P IMAGING UNIT CYAN. KONICA MINOLTA BIZHUB C20P IMAGING UNIT MAGENTA. bizhub C20PX bizhub C20X. Konica Minolta.